The finding provides a stronger rationale for women over the age of 70 — even those who have additional minor health concerns — to undergo aggressive treatments such as chemotherapy to prevent their cancer from returning. 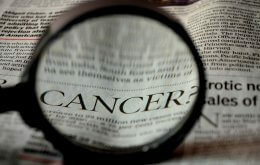 The researchers tracked two-year survival rates among the study participants. They also plugged in the participants’ data — including age, gender and ability to perform daily functions such as bathing and shopping for groceries — to a popular online program called ePrognosis. Doctors often use the online tool to gauge whether treatments might be warranted in light of an individual patient’s potential lifespan.